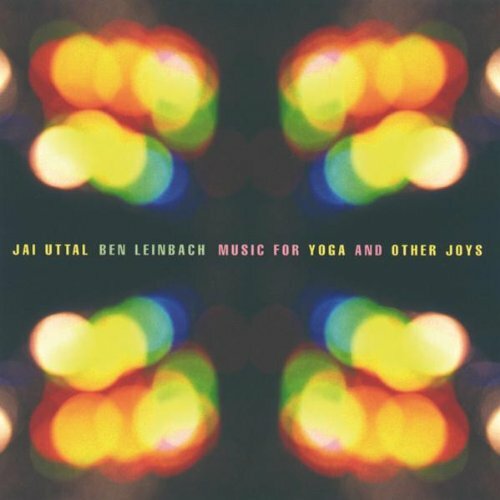 Iconic new age fusion artist Jai Uttal and drummer/songwriter/mixmaster Ben Leinbach pair up for what is Uttal’s first album specifically dedicated towards the practice of yoga. Although it may have been conceived to enhance your asanas, this album really would work well with any sort of relaxing activity – be it meditation or simply reading a book. The sonic environment is Asian-tinged featuring instruments like the dotar and slide tambora (which are played in such a way that they resemble Western guitars/string instruments) along with percussion and bamboo flute playing. The album’s central attraction is the kirtan singing of Uttal, whose recognizable voice is filled with rapturous energy and joyful spirituality.